Council Workshops/Caucuses, Executive sessions will be held the second Monday and the third Monday of each month. The Regular Meeting will be held the third Monday of each month at 8:00 p.m. All Workshops/Caucuses and Regular Meetings are open to the public. Council may take official action at any meeting which is opened to the public. Executive Sessions are closed to the public. The Recreation Board meeting will be held the second Thursday of each month at 7:00 p.m.
*Contact the Code Department at 412 672-9727 Ext. 231 to see if there are any items on the agenda for the Planning Commission and Zoning Hearing Board, as meetings will only be held if there are items on the agenda. 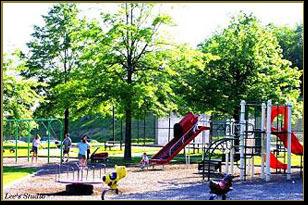 The White Oak Recreation Board is currently seeking new members to serve on the Recreation Board. The Board meets the first Thursday of each month at 7:00 pm at the White Oak Borough Building. 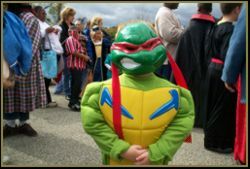 The members are responsible for the planning and hosting of various events throughout the year, including a spring and fall craft show, an Easter Egg Hunt, a Halloween Parade, Community Day, and an Evening with Santa. Anyone interested in serving as a volunteer should send a letter of interest to the White Oak Borough Council, 2280 Lincoln Way, White Oak, PA 15131. 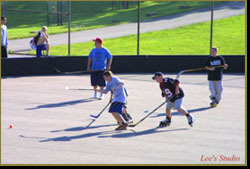 The White Oak Recreation Board sponsors several activities throughout the year. Among these activities are dances for area middle school and junior high school aged children. These dances are held one a month from September through May at the WOAA gym. The Recreation Board members and parents serve as chaperones. The Recreation Board holds two craft shows each year. 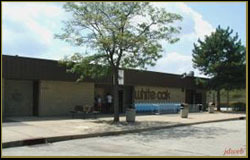 The craft shows are held at the White Oak Athletic Association. 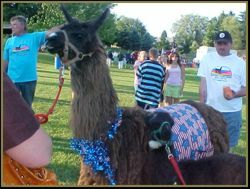 The Spring Show is held on the Saturday of Palm Sunday weekend each year, and the Christmas Craft Show is held on the first Saturday of December. The Recreation Board also is involved with activities for Community Day. Community Day will be held on the first Saturday in August, from noon till 8:00 pm at the Heritage Hill Pool. The Recreation Board plans races and pool activities during the afternoon. The Borough will hold an outdoor concert and a beautiful fireworks display will cap off the days activities. On the first Sunday in December, the Board sponsors "An Evening with Santa" at the White Oak Athletic Association. The Board provides treat bags, personalized ornaments, a picture of the children with Santa, and cookies and hot chocolate. There are also games and entertainment for the children. Family Swim Nights are also scheduled throughout the summer and are free to Borough residents and pass holders. 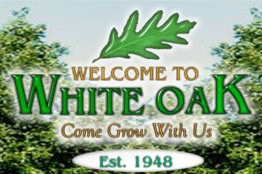 The members of the White Oak Recreation Board meet on the first Thursday of each month at 7:00 pm at the Municipal Building. 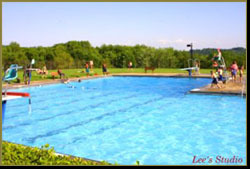 The pool will open on Memorial Day, Monday May 27th, 2019, weather permitting. ATTENTION!!! - Each individual will be issued a photo ID which is to be shown every time you enter the pool complex. There is a $10.00 replacement fee for lost passes. If you have any questions please call the pool at 412-664-0444 between Noon and 8:00pm. SPLASH in the deep end! Come take a dive or jump from our board. Children under 10 must be accompanied by an adult at all times! Members, guests, and daily pass holders agree to adhere to all pool regulations. Complete regulations are available at the pool office. No Alcoholic Beverages are permitted in the pool or park area. No Refunds will be made on membership passes. activities throughout the summer including a pizza party and inter-squad meet. The pavilion at Heritage Hill Park can now be reserved for your event. The fee to rent a pavilion for the day is $25.00 for residents (with proof of residency) and $50.00 for non-residents. We also require a $50.00 security deposit, which will be returned after verification that there was no damage done to the pavilion/tables during your event. Electricity is available at the pavilions. To reserve the pavilion just call (412) 672-9727. Reservation forms are available at the Borough Office or can be downloaded here. fun swinging and sliding on our traditional park rides. Park opens Daily 8:00AM - Sunset. The Allegheny County Parks Department wants to better serve you! about the park and scheduled events. 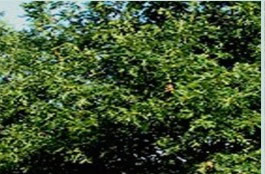 The White Oak Athletic Association (WOAA) is a multi-sport athletic complex providing basketball, baseball, softball and cheerleading programs to White Oak and surrounding communities. 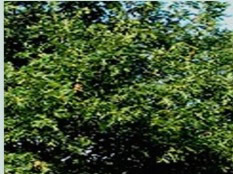 Visit their Official Web Site for details about the organization and its activities. Created and Maintained by White Oak Borough, PA and BNS Web Creations. © 2006 - 2016 White Oak Borough, PA. All Rights Reserved.